I cannot begin to tell you how excited I was to read more about the adventures of Elise and Nessa. I adore these two characters, not to mention you know when you pick up a book by Emma Sterner-Radley it going to be fantastic. When we left these two amazing ladies at the end of Making a Tinderbox, they were on the move to escape the Queen of Arclid. Fleeing Nightport to head to the bitter colder climate if Storsund. They are hoping to go so out of the way that the Queen and hopefully, her spies cannot find them. This book is full of adventure and you see and feel Nessa and Elise struggle to find their footing both in their new world. Sterner-Radley describes everything in such detail you can see the setting unfold before your very eyes. Everything is new, so different from what these two ladies have ever experienced. You feel their wonder and trepidation. I tend to pull away from books where there is a lot of world-building because often times the author forgoes the human interaction. Never fear Elise and Nessa’s relationship are still the forefront of this book. Nessa and Elise are dynamic characters. They just find a way inside your heart. This book has it all, Adventure, intrigue and above all else a fabulous romance. This is one series I will treasure and look forward to Emma Sterner-Radley has in store next. I really, really like Emma Sterner-Radley’s work. She is a writer that gives you a great story with interesting characters that draw you right into the story. I love when an author can take you away from reality and pitch you right into their book. Sterner-Radley is one of those authors. Erin Black is a personal trainer residing in Manhattan. She is a loner and suffers from insomnia. Her sleepless nights turn into late night infomercials and surfing Twitter for entertainment. Her boredom leads her to meeting Isabella Martinez. Isabella is the mother of an infant that has stomach issues that keep them both up. Erin becomes her late-night companion, first through sarcastic interaction on Twitter and then into more personal communications via Skype. This is slow-moving, long-distance friendship that eventually blossoms into more. These two bare their souls to each other, needing a friend and finding it in the most unlikely place. They have witty banter that can turn into fun/playful as well as serious. A super cute story that ends rather abruptly. You will need to go into this one knowing that the sequel is essential. Book one of this series ended rather abruptly, so I was very glad to see the publisher did not waste any time with getting the next installment out. 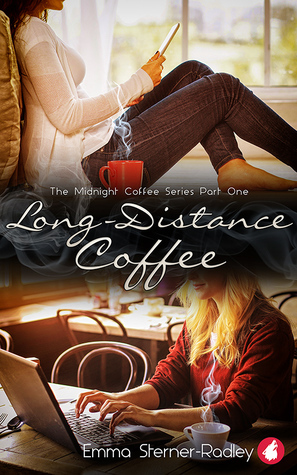 I’m going to get right to it and say I really enjoyed the first book, Long-Distance Coffee. I thought it was a sweet story of two lost souls connecting and finding each other. They bared their feelings and hurts to each other, needing a friend and then finding that once in a lifetime chance at love. 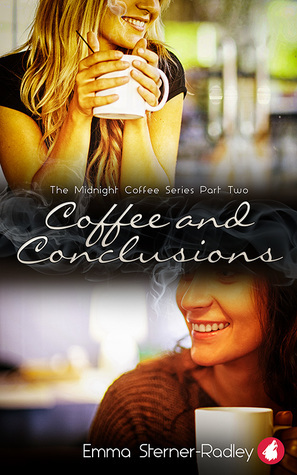 A sweet, heartfelt story that consisted of adorable banter between the two main characters. The second book left me feeling more along the lines of meh. Let me explain. This part of the book we finally get the two characters to meet. Woohoo! That’s a great moment. Really a couple of great moments, but then the story began to just drag. It was too much talking and it felt soap-boxy and unrealistic later in the book. I felt myself wanting to skip paragraphs and even rolled my eyes at the parts that I thought were a bit over the top. I think this series would have been better slimmed down and made into one book. The second part felt too long. Just my opinion, though. I enjoyed Emma Sterner-Radley’s work and look forward to where she takes me next. I don’t even know how to start with this one, but I am going to give it my best shot at articulating just how good this book was. One word summary, Wow. 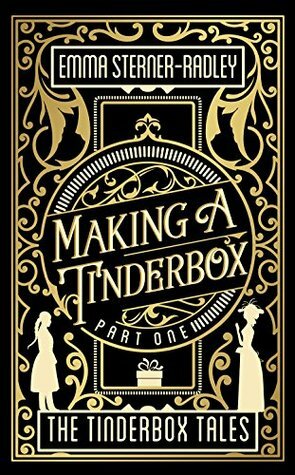 I was wowed, amazed, and totally spellbound by Making a Tinderbox. If I could read books like this one everyday life would be truly grand. This is one of those books you find and just turn to mush because it did everything right. It took hold of my heart and a sad as I was that the story was over, I was dazzled by its brilliance as well. Lady Elisandrine ‘Elise’ Falk has been told by the queen that she is to marry the queen’s brother, Prince Macray in three months time. Elise, not being one to ever want to marry, especially to someone of the male persuasion is undeniably angry at the situation she has been put in. She is literally being locked in a castle until her wedding day. Elise is a character with smart, witty and a ton of spirit. She is never one to hold her tongue and it tends to land her in a heap of trouble. Nessa Clay is the direct opposite of Elise. A commoner who has worked beside her parents in a small town, taking care of the crops to make ends meet. She is quiet, self-conscious with a bit of a stutter. What draws you to Nessa is that she is both selfless and gracious. A strong, stoic woman that when needed arrises to the occasion. When Neesa meets Elise, and Elise requests her help Nessa goes above and beyond to help the lady. I think what really sets this book apart from so many others is how multi-layered it is. Sterner-Radley has given you a long detailed story. There are no cutting corners to save space, no rushed ending to warp it. The author takes her time and draws the characters out. Backstories are cleverly crafted, the scenes are set, and you feel the story and see it play out as you read along. What I loved most of all, and I am talking really, really fell in love with, is how the character’s chemistry between each other is just dynamite. It just jumps right off the page! You have sexiness, cuteness, agonizing angst and self-sacrifice all rolled into one epic adventure. This is a book that has everything I look for and it does it to perfection. Fantastic characters, dazzling dialogue, a delicious plot full of adventure, angst, and romance. You cannot ask for more. 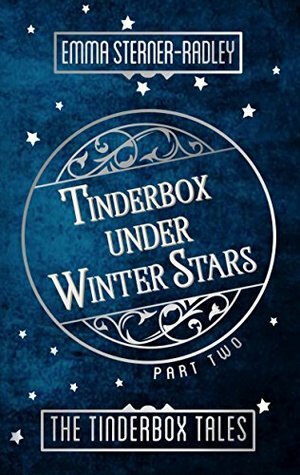 Making a Tinderbox stole my heart from the very beginning and by the end I wanted to read it again. ***If I could give this six stars I would. How in the world have I read two books within a ten-day time span that have been this amazing? I have just been giving out 5 stars like nobody’s business. 5 out of 5 stars, but really a six! Life is funny sometimes. One day you’re totally fine and then the next you have that overwhelming blah feeling. You take a look around and start to wonder why am I stuck in this rut? Do you take a much need vacation, take up a new hobby or do you flip a switch and make a much-needed career change? That’s exactly what our main character, Zoe does. She takes a leap a faith and starts to change her life’s current trajectory. Will her gamble be worth it? Zoe Achidi has not had an easy life. When she came out to her parents they abandoned her. Cast out of her childhood home as a teen, she has literally had to make it the hard way. Begging for a job, and working tirelessly to keep a roof over her head and food on the table. Her boss and owner of the neighborhood bookstore, is the ultimate slacker, using Zoe as his workhorse so he can phone it in but keep the benefits of her hard work. Most of us wouldn’t put up with what Zoe does, but how do you leave a job that saved you from the streets, even though you know you are capable of so much more. Rock meet hard place, right! The one highlight of her existence is an amazing brother, bestie and the super-hot client that visits her workplace. Rebecca Clare is said hottie. Rebecca is a successful businesswoman. Over the course of time, Rebecca has taken notice of Zoe, but she’s the younger woman as out of her league. Funny, because Zoe thinks the exact same thing about Rebecca. Upon an unexpected meeting with Zoe’s brother, Rebecca agrees to help Zoe break out of her rut. She begins to assist Zoe, on improving her resume and searching for jobs with a better career path. Rebecca and Zoe have a fantastic dynamic. These two have a magnetic pull to each other. Their heads war with the hearts, neither seeing how amazing they are but the other totally seeing it. Rebecca, at the age of 40, doesn’t see why a 26-year-old beauty would want anything to do with her other than a mentor. Zoe, cannot for the life of her, see why a successful professional would see anything in a lowly bookstore clerk. They click, they bring out the best in each other, and finally, the heart wins the battle and their heads get out of the way of love. A little help from the bestie and the brother help as well. Overall this novella is well written, with excellent dialogues. Zoe and Rebecca are interesting and dynamic characters that jump right off the page. I can’t wait to see what Emma Sterner-Radley writes next.